Livongo is redesigning chronic condition management, starting with diabetes and hypertension, by driving behavior change through the combination of consumer health technology, personalized recommendations, and real-time support at the point of impact. Powered by advanced analytics, we create personalized experiences for our Members so they receive the right information, tools, and support, at the right time. Our approach is leading to measurable, positive financial and clinical outcomes while creating a better experience for all people with chronic conditions. Castlight and Livongo make managing chronic conditions, such as diabetes, easier. 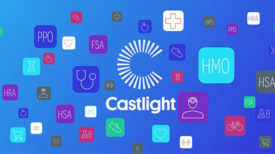 By engaging and rewarding employees for actions such as completing blood glucose readings, Castlight and Livongo work together to make it easier for employees to proactively manage diabetes.